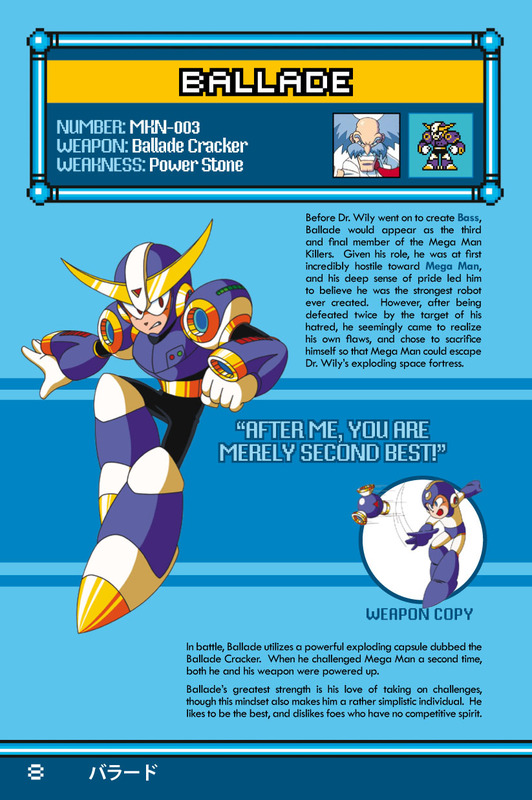 Rockman Corner: Robot Master Field Guide Hits Stores Today! But isn't it just a copy/paste of the stuff on TMMN's wiki? @First anon: If they just copy and pasted the stuff they would have been done a long time ago. You have some nerve to accuse them of that you know that? Oh, that one wasn't there initially. I'll put it up. LOL, the Maverick Field Guide would be awesome if they make one! @Anon3: Or you could, you know, NOT be a pirate and actually obtain the book LEGALLY by buying it so that Udon can make money and release MORE of this stuff in the future. Well, it's nice to see that they're giving features on the human characters too. Overall, the book looks... okay... to me. I don't think I'll be getting it though, doesn't seem worth the money to me. Sorry UDON, I know you put a lot of work into this. One thing I don't necessary like about this guide. Mixed art. 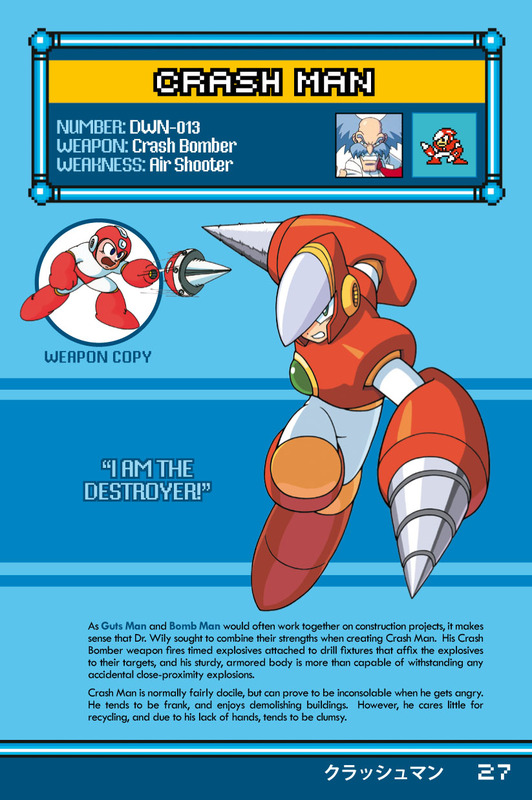 I'm guessing that all the Complete Works art are used for the games it covers, then it switches to the Inafune style from MM7 onward (sans MM&B and 8)? To me, that's just unbalanced. 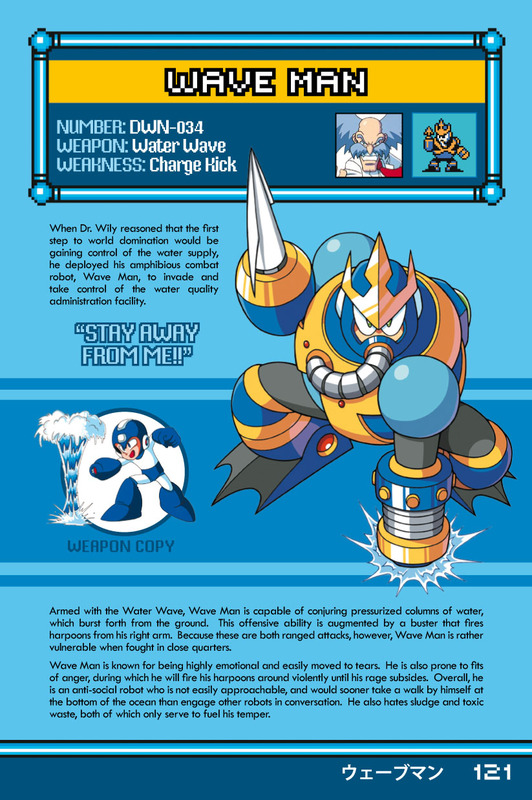 At least each page when, it pertains, could have both versions of the character art. 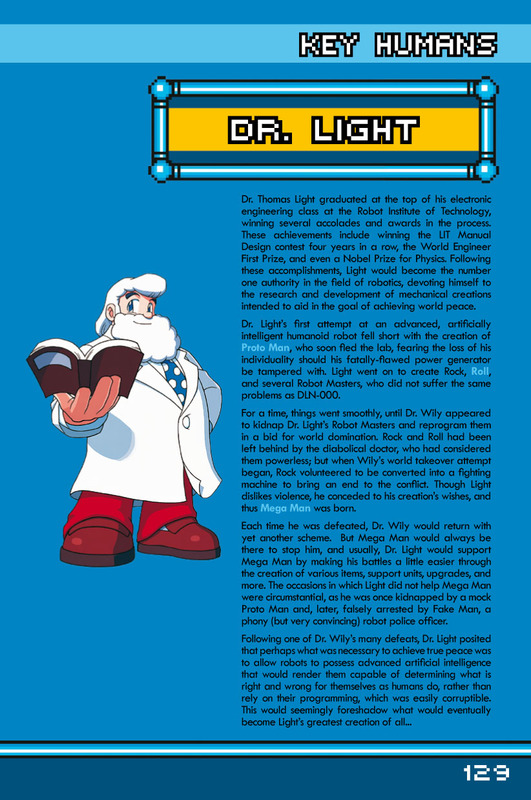 I also feel some more information and maybe more images could have filled each page. Like say the MM&B CD Art and info for example. 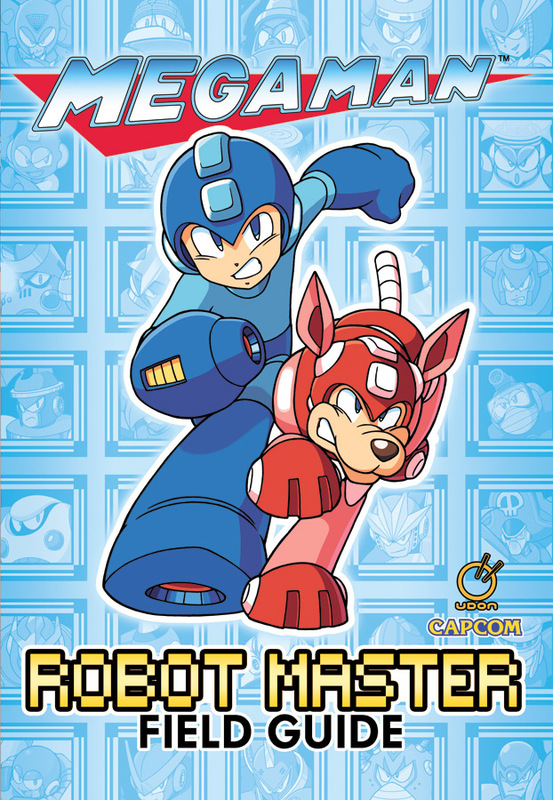 I think I'll probably pick this up sometime, but I'll take a gander at it online or in a store first. This is looking up to be epic! I'm glad the the information from the CD Data and other sources is finally becoming clear. @Clown Prince of Crime: You do know not everyone can do that, right? Not everyone that lives outside of the US has a paypal account/international credit card to buy it. @Anon5: That doesn't make it any less illegal, but believe me, there's still other ways of obtaining something like this from outside the U.S. without resorting to stealing. If you truly want to support the creators of the book, you can find a way to do just that. If you don't want to support them, well... I guess that's your choice. But what you're saying is just an excuse for wanting something for free. As the saying goes, "where there's a will, there's a way". @Clown Prince of Crime: It's not as simple as you make it out to be. I personally do plan on buying this eventually and don't even want a digital version (I'm not the 3rd anon), but I've been in a position where I couldn't buy anything from the US before, so I understand why someone would want it. And you people wonder why Capcom wants nothing to do with you anymore. Or there are people that simply don't have the extra funds to purchase one yet still want to enjoy it(even though it isn't too expensive). Hence why a lot of video games are pirated, especially classic titles. The prices and rarity of some of them are just ridiculous. Where there is a will, there is indeed a way. We live in just such a society. It can become a damn shame sometimes, but if companies were truly hurt so much by it, they'd all be out of business by now. Piracy is out there, but the margin of people not pirating, or not knowing how to is very great from those that are/do. @MegaMac: Are you saying that justifies it? And where do you draw the line, exactly, on which company wouldn't get hurt much by piracy and which one would? 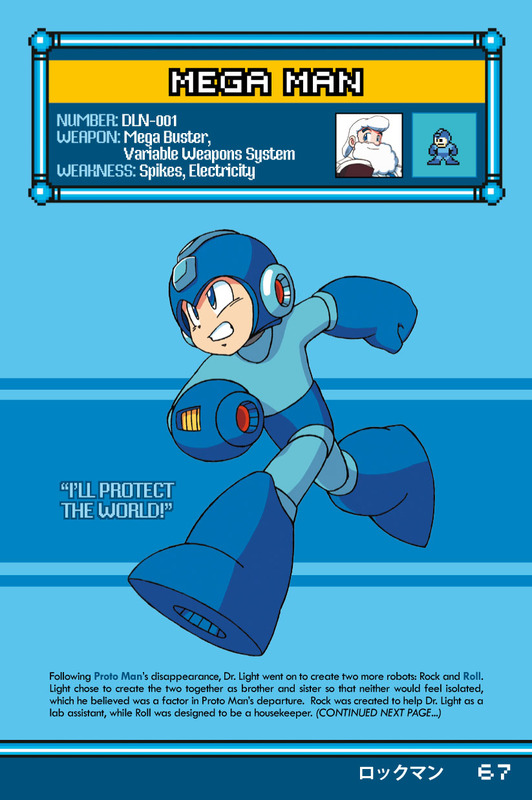 All I'm saying is, I'll be very miffed if the pirates somehow end up causing Udon to think Mega Man isn't profitable enough to continue to produce products for. Goodness knows Capcom already does. I hope you're not implying that justifies it. That is AWFUL reasoning. I can't afford a new car. So I should just totally take one, right? You don't deserve to have entertainment products simply because you want or like them. You can totally do it, because no one's really going to stop you. I hope they don't. And while I don't see much harm in pirating an older classic game that is no longer available, like Earthbound---but I can't ever admit that it's right or justified. You gotta admit that pirating material is always "wrong."